Why Many OFWs Remain Poor Shortly After Returning Home? Overseas Filipino Workers (OFWs) pump up the local Philippine economy by bringing in their remittances. Back in 2012 alone, this amounted to $17.3 Billion. But while they have contributed that much to the economy, majority of OFWs still do not have what it takes to be called rich, if even well-off. A typical OFW is expected to have earned a lot abroad, given the exchange rates of the currency of the country he came from. But we would always wonder why most of OFWs return to the country with just about a scant amount. Many of these would just have to make do with the savings they have accumulated from working abroad. 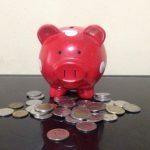 But once this savings fund is used up, they have to go through the process of finding and applying for jobs abroad, and the cycle starts again. A study made by a Church-backed group reveals that at least 60% of OFW families remain poor, even after the breadwinner returns home. Fr. Edwin Corros, executive secretary of the Episcopal Commission for the Pastoral Care of Migrants and Itinerant People, said the Philippines have more than 8 million OFWs, but at least 60% of these families remain poor. The study noted that OFWs are predominantly unskilled or semi-skilled, whose jobs include the likes of household-service. 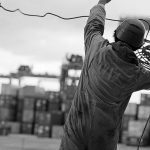 These workers usually go home with little money as their promised wages are lower, and they have to pay debts from the preparations for overseas work. Worse times, they fall victims of abusive employers, becoming victims of human trafficking, or becoming undocumented workers because their working permits are confiscated by mostly abusive employers. There are other factors that contribute to this. Linda Wirth, International Labor Organization director in Manila, said migrant workers and their families are constantly exposed to various risks that require huge spending, primarily including health among others like loss of properties and disasters. She added that families of OFWs are especially vulnerable as they belong to the 80% of the world’s population who do not have, or have the least access to basic social services such as education and health care. Ferdinand Berba, senior vice president for Business Development of Pioneer Life Insurance, noted that while they are doing better than their counterparts coming from Myanmar and Cambodia, OFWs’ savings rate is lower as compared to their counterparts from China and Indonesia. Berba noted that 42% of this OFW savings are spent on emergency expenses ahead of the allotment for children’s education (34%), food (6.6%), marriage or other future plans (5.9 %), business investment (3.4 %), housing (2.9 %), among others. From these numbers, he stressed that OFWs are not saving for their future. Berba noted savings above. This is always a challenge, since the first impulse people has when they start earning money is how they will spend that earning. This should be corrected by a clearer mindset of saving, and consistently do so. Consistently putting off a substantial amount off their earnings would allow OFWs breathing spaces in the future. 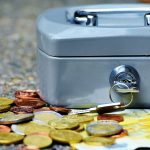 Some suggested putting 20% of their salaries for savings, while others can go as high as 30 to even 50%. But OFWs must make sure that this stingy effort does not affect their family’s well-being. Another culprit is reckless, even unrestrained spending. This is a very common phenomenon and habit that OFWs display, most especially when they go home for a few weeks’ return to the country. Reckless spending usually means he indulges with wants rather than needs. Unrestrained spending is when they think money doesn’t have a bottom. 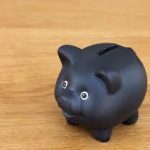 Controlling these spending habits will lead to more money that can be relegated to more important matters. Even if they can afford it, OFWs are urged to not spend too much, especially on things that will not help them in the future. 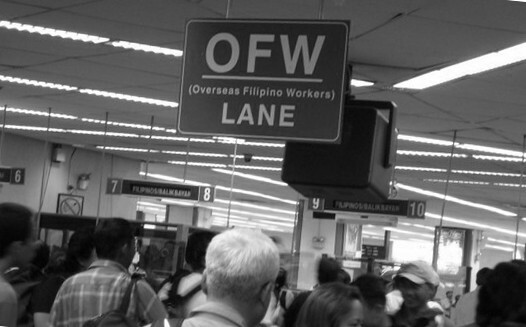 Furthermore, OFWs are mostly known for their lack of long-term financial goals. They go on unrestrained spending because they do not anticipate long-term repercussions of these purchases. Added too is their lack of long-term goals. Usually OFWs, especially those who started out with little in life, consider dreams like a luxurious house and all the amenities inside as a good spending goal since they will eventually be earning much more than they do here in the country. But there are far important things that must be considered –their children’s education, future expenditures on health, for example. Once these long-term goals are identified, OFWs can have a clear mind to think of future expenses and other goals. There may be other things that can be considered, like considering investments and knowing financial management. But understanding even these three could help, once they are recognized and kept in check. Positive changes in these three culprits might help alleviate OFWs woes and keep them away from financial rut. 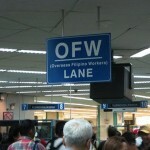 OFWs Can Save Their Money While at Home! Here’s How. OFWs Can Save Money While Working Abroad. Here’s How. 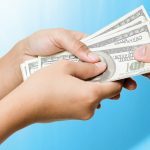 What is OWWA Loan, And How To Apply For It?